Danville Dental Talks with Children About Oral Health! At Danville Dental Associates we want our youngest patients to know the importance of good oral health. February is National Children’s Dental Health Month – an occasion celebrated by dentists across the country. 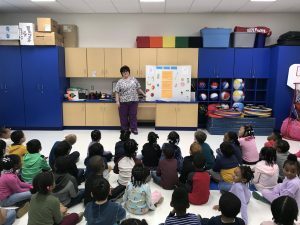 Dentists and staff from Danville Dental Associates are passionate about giving back to the community and provide presentations to help children understand the steps to good oral hygiene. Our mission to educate students brought us to many local preschools and elementary schools around Danville. By the end of the month, Tammy Betterton, our presenting assistant, had spoken to 1,172 kids at 15 different schools! That’s something to smile about! Here are a few photos of our experience; we can’t wait to do it again next year in 2020! 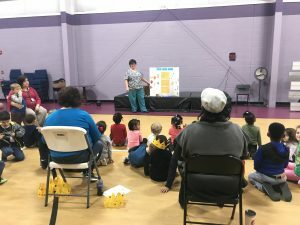 Comments Off on Danville Dental Talks with Children About Oral Health!